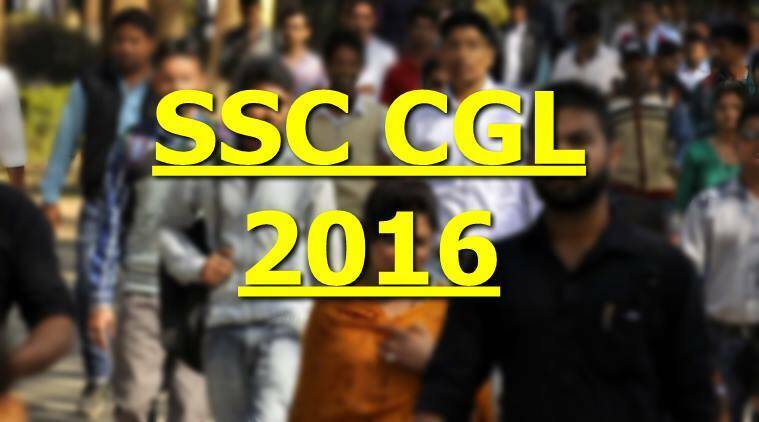 SSC CGL 2016: The SSC has released exam day instructions, timings and exam procedure details for the candidates. With the Staff Selection Commission (SSC) Combined Graduate Level (CGL) examination barely a week away, the SSC has released a fresh notification on its official website with instructions for CGL 2016 candidates. Candidates should get to know the ‘practise test’ specially prepared for the computer exam. The test is available on the website of the Commission as well as the regional office websites. This will help you prepare for the computer exam better. Download your admission card, which is your admit card or hall ticket, from the website of the Commission or its regional office websites. The admission certificate or admit card will contain your roll number (which is your login ID) and password for computer exam. It will also contain your ticket number, exam venue details and examination schedule including the date and timings. Reach the venue at the reporting time. You will not be allowed to appear in the exam if you reach after the entry closing time mentioned on the admission certificate/admit card. Plan beforehand how to reach the venue to avoid last minute hassle. Visit exam venue one day in advance to see the route and know its location. Bring a printed copy of your admit card, two passport sized recent color photographs and a valid ID proof (one photocopy as well as original). The ID proofs which you can bring are: Aadhar, driving license, university or college ID card, voter ID card or Pan card. Entry will only be allowed between 8:30 am to 9:30 am for the first session which is to start at 10:00 am. Beyond 9:30 am, no entry will be allowed in the examination hall. For candidates appearing in the 1:45 pm exam session, entry will be allowed only from 11:45 am to 12:45 pm. Beyond 12:45 pm, entry will not be allowed in the examination hall for this exam session. 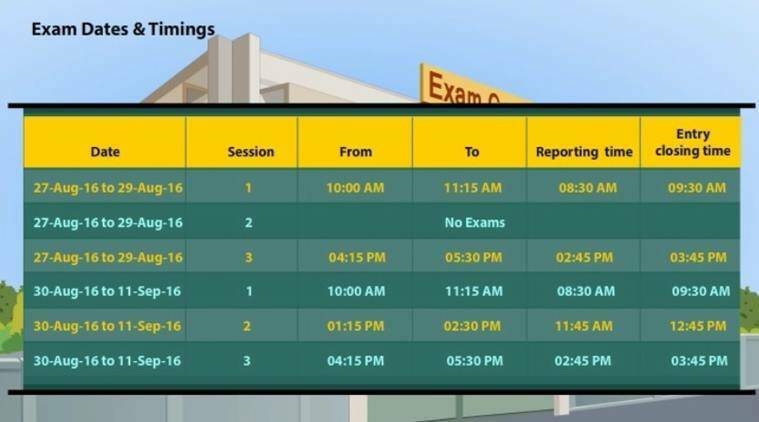 For candidates appearing in the 4:15 pm exam session, entry will be allowed only from 2:45 pm to 3:45 pm. Beyond 3:45 pm, entry will not be allowed in the exam hall for this session. You are not allowed to carry the following items in the exam centre: Watches (timers, wrist watch, etc. ), books, pens, paper chits, magazines, electronic items (such as mobile phones, blue tooth devices, pen camera or buttonhole camera, scanner, calculator, pen drives, hard drives, CDs or other storage devices). Pens, pencils and papers required for rough work would be provided by the centre in the exam hall. An electronic watch (timer) would be available on the computer screen on which the candidates will be giving the exam. Note: If any candidate is found carrying any of these prohibited items inside the examination hall, the candidate will be barred from the SSC CGL examination for three years. No family members, friends, guardians or associates will be allowed with the candidate inside the examination centre. 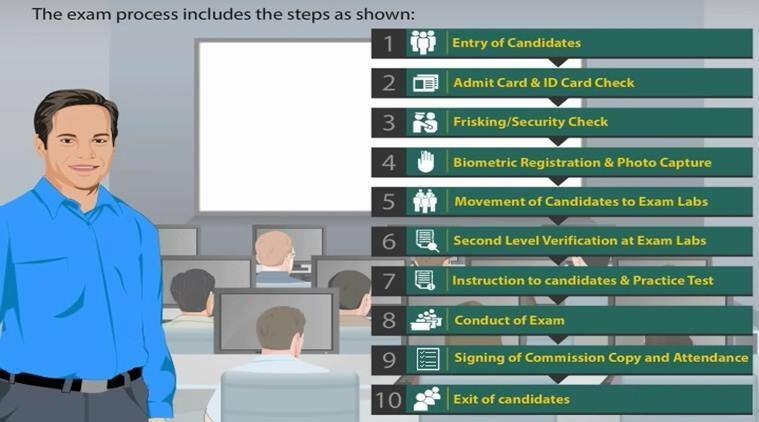 Candidates have to follow these steps as shown below when they enter the examination up to the time they exit the hall. Candidates will be frisked in the ‘Frisking Area’ after they enter to make sure they are not carrying any of the prohibited items. A separate frisking area is provided for female candidates. All candidates will be frisked by female personnel only. The process is compulsory for all candidates. After the frisking process, candidates will have to go to the registration desk for their biometric registration. The necessary documents mentioned above will be checked here. Candidates need to give a clear left thumb impression (LTI) for biometric data registration. Once the biometric data has been registered, you will not be allowed to leave the examination hall. You will also have to provide a certification statement in running handwriting and signature on the Comission’s copy of admission certificate at desk itself. When registration is completed, you will be assigned a lab number and a computer number on your admission certificate. You will also be given a verification stamp on your admission certificate. Without this stamp, you will not be allowed entry inside the computer exam lab. The location of the computer exam lab will be notified on the notice board near the registration desk. In case of doubts, contact the exam lab personnel. Show your admit card to the invigilator upon entering the lab. Candidates are not allowed to change the computer assigned to them under any circumstances. Doing so will lead to your exam being cancelled immediately. Type your roll number and password as specified on your admission certificate/admit card on the computer. Read the instruction sheet and click on “I have read the terms and instructions” button. You will have to take a sample test before you take the actual SSC CGL exam. Avoid touching the wires and cables in the lab and near your computer as it could lead to the computer shutting down. If there is a problem with your computer or any other issue, make sure you contact the invigilator immediately. In case of any technical problem, slow speed of server or breakdown of server, etc., candidates will not lose exam writing time. No candidate is allowed to leave the computer exam lab for any reason without the permission of the exam functionaries. If you do so, you will not be allowed to re-enter and will be barred from the exam. All exam labs have CCTV cameras. Candidates should not talk to each other, cheat or use any other kind of unfair means for the exam. If you do so, you will be barred from the exam.